This has been the BEST EXPERIENCE ever in buying a new car. Dawn Taylors professionalism, knowledge and expertise made the process a closed deal! I had been shopping around at multiple dealers for months. Dawn connected immediately, aligned to what I was looking for and made the suggestion with alternative options. Dawn was truly the reason I bought this car. I had no intentions of purchasing that day but since the entire process was smooth and not high confrontational it was a no brainer. In JEST....I really wanted a coffee mug. I need to go back for that. Steve, the general manager...outstanding and pleasant. David...Carolina Panthers fan, I'm sorry, can't fix that. Never had I ever thought of INFINITI. Didn't know what it was. Seriously, best car I've ever had and the experience made it even better. 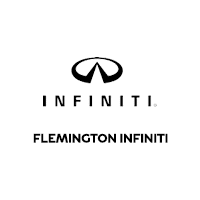 One last note; I was unsure if I made the right choice on the INFINITI I chose and thought maybe I had wanted the more luxurious one; No problem, Dawn was absolutely supportive in any decision I was going to make and would have changed. Thank you!!! Thank you for treating me like you did. It was FUN!!! Provided quality car loaner and care about my time. Paul Hickman and the Service Team provided me with a brand new loaner car with 16 Miles on it to help me get on my way as I was in a rush. When returned the car the next day, my 2019 QX 50 was washed and ready so I can could leave immediately. Always a pleasure bringing my Q50 in for service. The service center’s staff is experienced and remembers you and your preferences year and car after car.